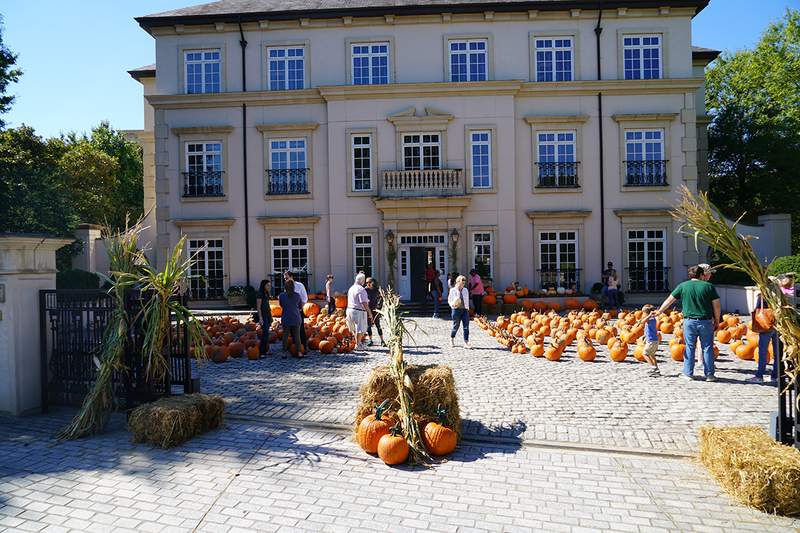 On what can best be described as a perfect fall weekend, we held our 3rd Annual Dorsey Alston Pumpkin Giveaway at our office at 100 West Paces Ferry Road. 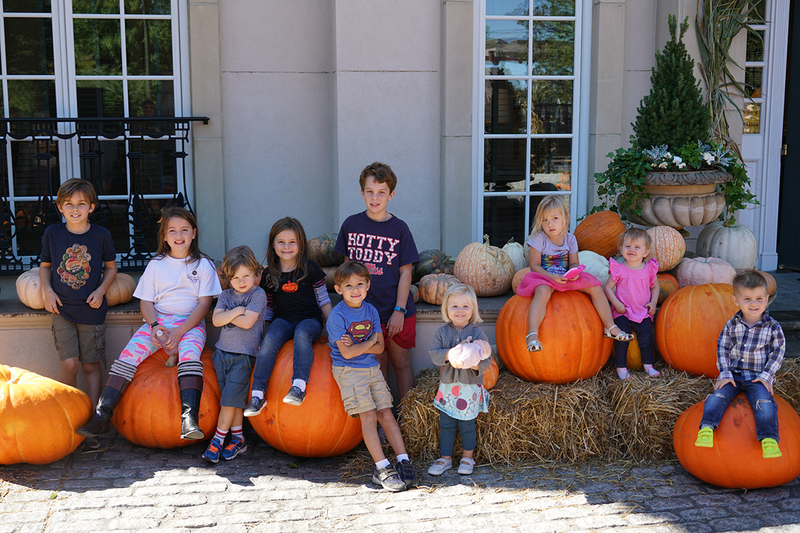 We had more than 700 pumpkins, some as large as 140 pounds! They came from Hammonds Produce in Forest Park. Around 60 families came to pick out their pumpkins over Saturday and Sunday. 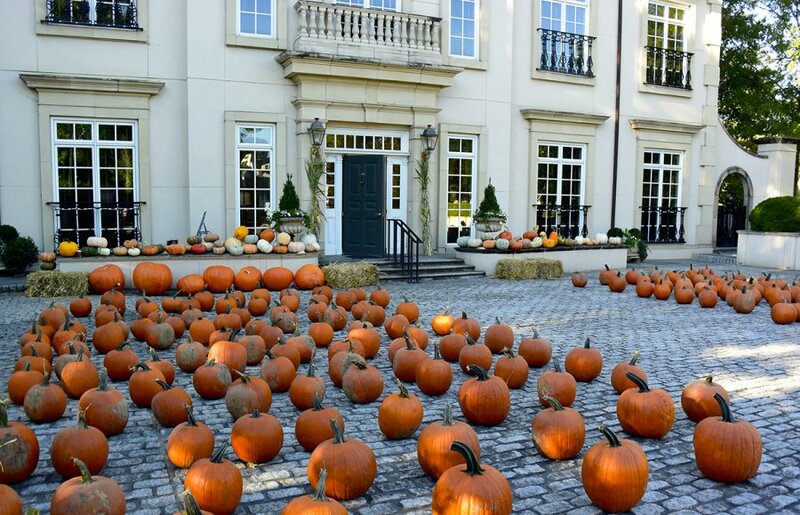 Some of our Realtors — the best in Atlanta — even delivered pumpkins to their clients. The tradition of carving pumpkins for Halloween goes back hundreds of years and can be traced to an Irish myth. According to the tall tale, a man named “Stingy Jack” tricked the Devil several times, eventually convincing him to never take his soul. But “Stingy Jack’s” mischievous nature had the unintended consequence of preventing him from entering Heaven. He was therefore cursed to roam the night with only coal to light his way. He placed the coal in hollowed-out turnip and has been walking the Earth at night ever since, looking for people to trick. People in Ireland and Scotland began to make their own versions of the lanterns by carving scary faces into turnips or potatoes and placing them in the window to keep “Stingy Jack” away. When they immigrated to the United States, they started using the native and plentiful pumpkins. We did our part to make sure “Stingy Jack” wouldn’t show up in Atlanta this Halloween season!